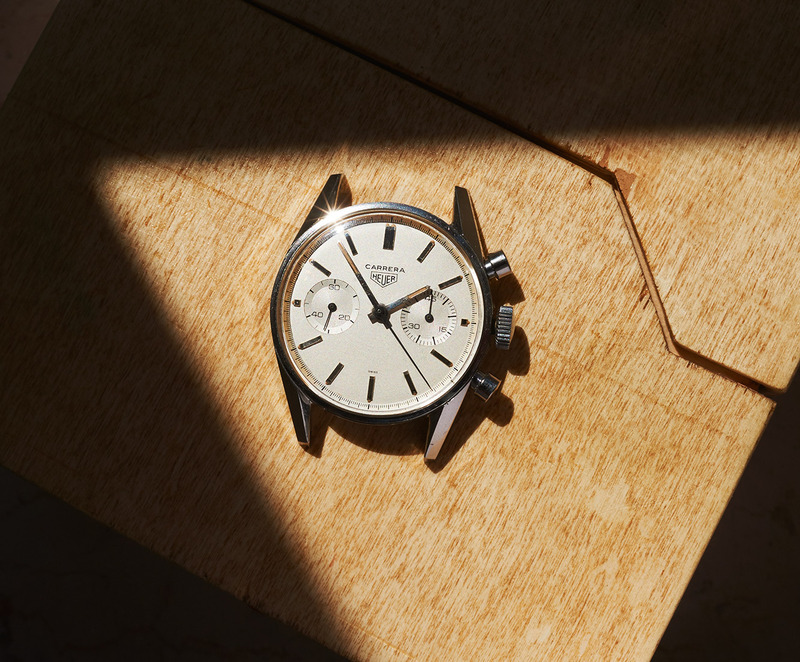 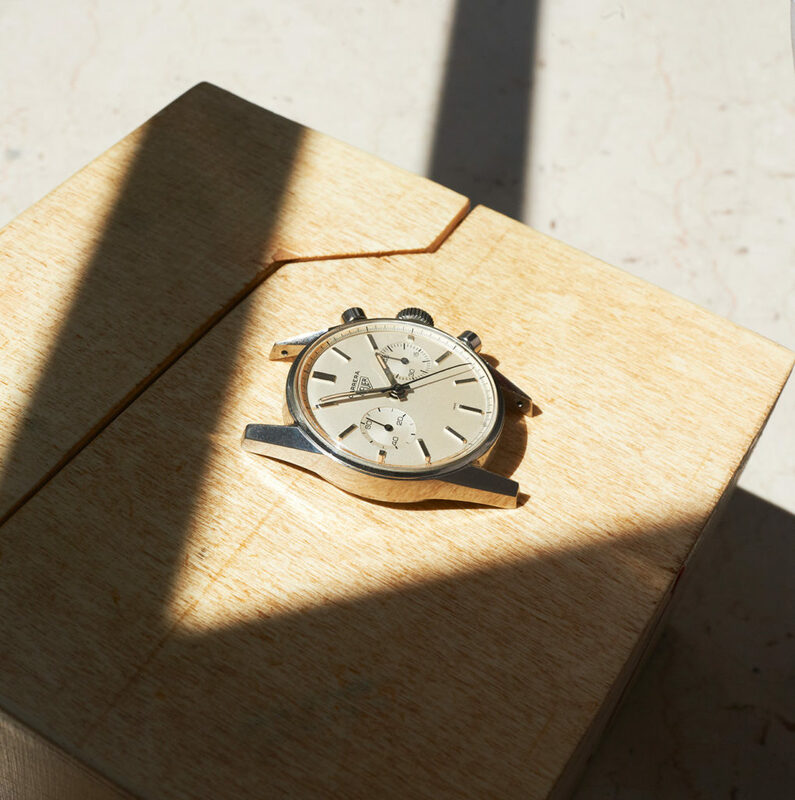 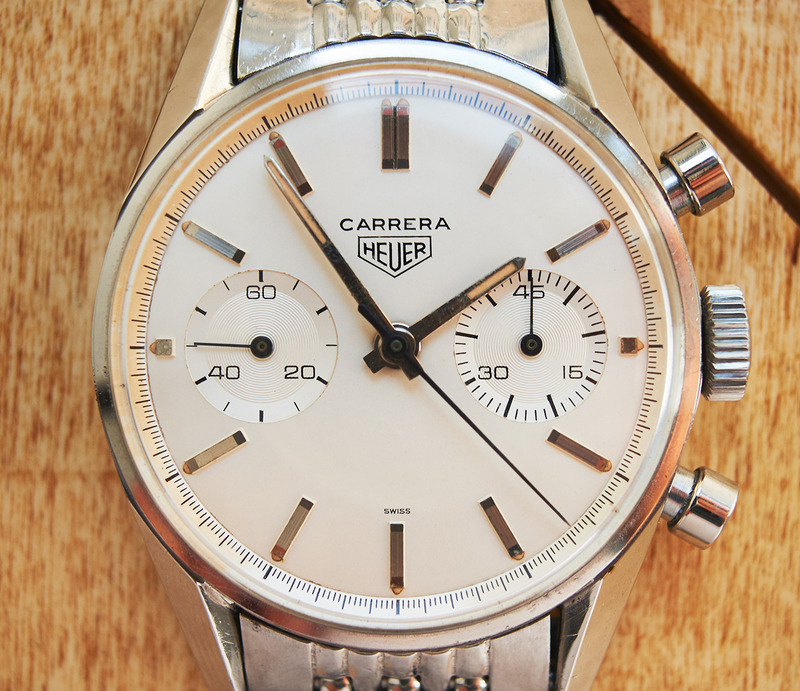 A watch from 1964 for true connaisseurs as it´s one of the very first Carreras with two subdials. 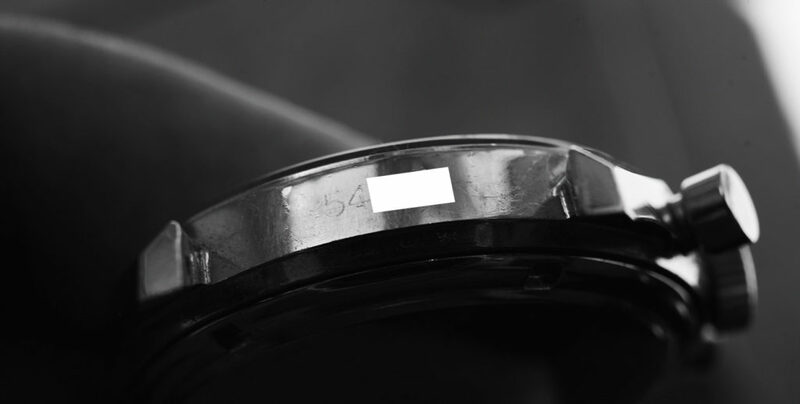 The unpolished case has a clearly readable 54xxx serialnumber which matches with the “swiss-only” cremedial. 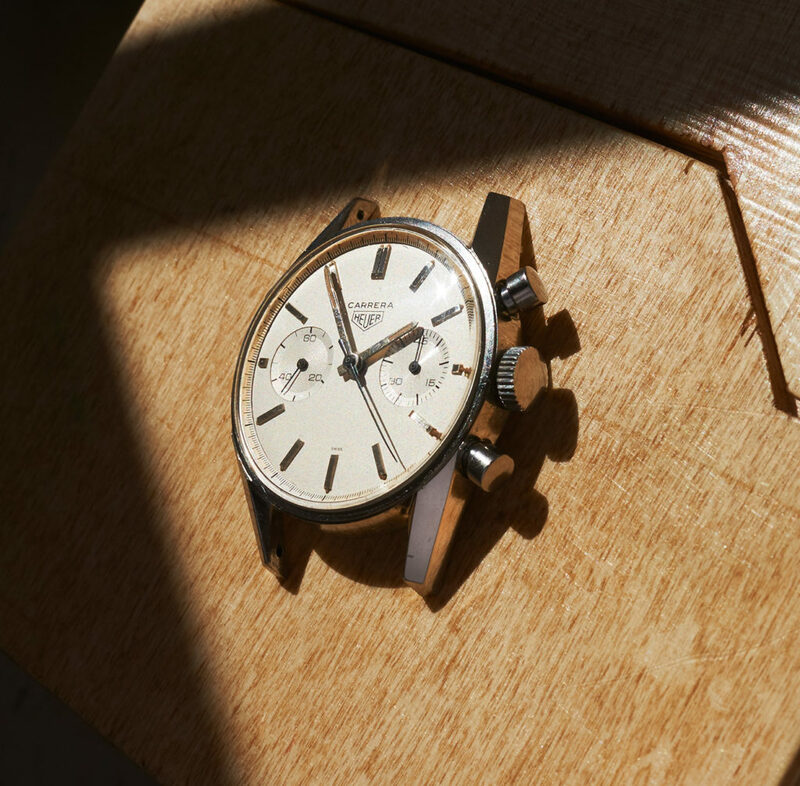 The dial is in extraordinary good condition with all lumeplots still appearing, and the lume in the handset is matching to that colour. 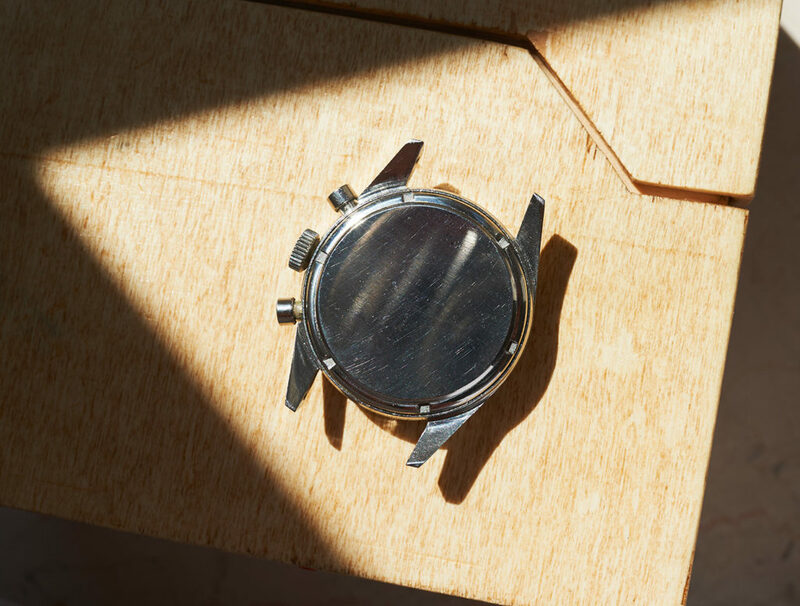 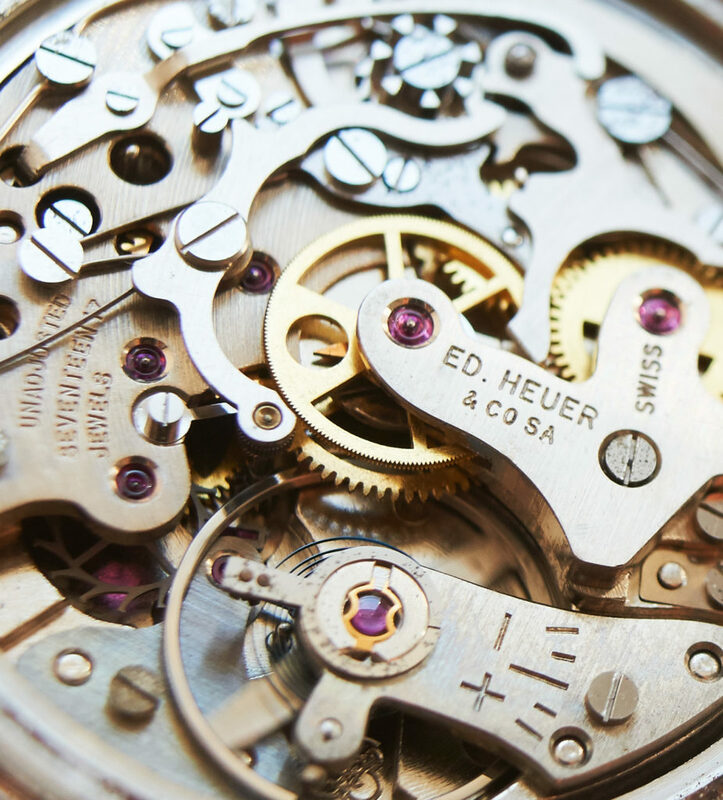 The “pre-hex-caseback” is signed with Ed Heuer, as well as the movementbridge of the Valjoux 92 is.